I've gotten a couple questions about Rapid Fire recently and I thought it might be fun to write down all my thoughts on proper usage of the CD for Maximum DPS yields as we approach the opening of Highmaul. Because we're at the very beginning of the xpac, I'm going to look at the numbers based on having all heroic dungeon blues, including our weapon, with the exception of a few easily accessible higher ilvl pieces. As a disclaimer, the preciseness of any numbers used herein will change as the expansion progresses and we get better gear, but the general theory should stay the same. Rapid Fire: Increases haste by 40% for 15 seconds. 2 min cooldown. Careful Aim: Increases the critical strike chance of your Steady Shot, Focusing Shot and Aimed Shot by 60% on targets who are above 80% health or while Rapid Fire is active. 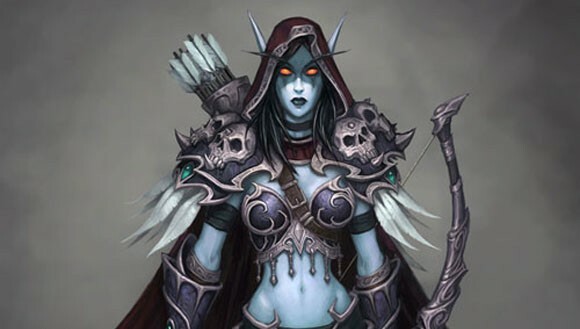 In WoD, Careful Aim was modified to include any time that Rapid Fire is up. This completely changed the use of Rapid Fire from a basic increased haste CD to a huge DPS CD with both Crit and Haste bonuses. Where as in MoP we wanted to use Rapid Fire mostly when we were low on focus, in WoD we'll do the opposite, pooling focus so we can use the most Aimed Shots as possible during the buff. During the first tier of WoD, our pre-raid BiS trinket will be Lucky Double Sided Coin. In addition to a good chunk of crit, this trinket includes an on-use Agility buff, with a very convenient 2 minute cool down. Note, for those unfamiliar with macros, if you keep your Lucky Double Sided Coin in the upper trinket slot, you'll want "/use 13" instead of "/use 14". This doesn't include all of the other modifiers like target armor, MS, Versa, etc., but since those will be the same for all situations we're examining, we'll just ignore them for the time being. The one modifier we will be interested in is Crit. Assuming we have about 30% crit (we're in dungeon blues, remember), we can just multiply our total result by 1.3 and we'll have the average value of an Aimed Shot. With 3833 AP, and a 630 weapon that has 901.5 WD, that works out to 21,666.7. During Rapid Fire we add 60% crit chance, so our 1.3 multiplier becomes 1.9, which puts our average value at 31,666.7. Crit will work the same way, so with DSC's buff, but no Careful Aim/Rapid Fire, we'll have an average Aimed Shot be worth 29,676.5, or with Careful Aim, 43,373.3. To compare the value of stacking vs. not stacking the two buffs, we can simply look at the sum of DPS gain from using LDSC without Rapid Fire (8009.8 damage per Aimed Shot) and the gain from using Rapid Fire without LDSC (10,000 damage per Aimed Shot), and compare that to the gain from using both together (21706.7 damage per Aimed Shot). Because 21,706.7 is greater than 18009.8, it's clear that stacking the two buffs together is going to be superior to using them separately. And, that doesn't even include the added benefit of having shorter cast times on Aimed Shot due to the Haste aspect of the buff. Stacking Rapid Fire with your trinkets (and when possible with your potion) will provide the greatest increase to your DPS of all the things I'm going to write about today. However, there are certainly other smaller things we can do to increase DPS. These will all change depending on what talents you take, and to some extent, what type of fight you're in (AoE, Cleave, Single Target, etc.). If you're using the Thrill of the Hunt talent, you'll want to save your Rapid Fire until you have a full three stacks of TotH. This is really the primary reason that Thrill of the Hunt, even after all the nerfs it has received since MoP, is still such a good talent. If you save your Rapid Fire for when you have three stacks of TotH, you can quickly cast three Aimed Shots in a row for the low net cost of about 10 focus (30 focus each, plus the return of 20 per crit (and they all should crit) and your base focus regen). And even though these Aimed Shots will have a very low net focus cost, they still have the chance of re-proc'ing TotH as though they cost 30 focus. Of course, the point of this is, the less focus you spend, the less time you'll have to waste casting Steady Shot or Focusing Shot, the more time you can spend casting Aimed Shots. Steady Focus can get us into a little bit of trouble, because to keep the buff up, we'll be casting double Steady Shots, and during Rapid Fire, you don't want to waste your time casting Steady Shots instead of Aimed Shots. The easiest way to deal with this problem is to take Focusing Shot, in which case you'll only have to cast it once to get the Steady Focus buff, and it will only cost you the cast time of one Aimed Shot (while giving you considerably more focus than two Steady Shots). However, with the current tuning of DPS, many hunters will prefer to take Lone Wolf instead of Focusing Shots, so it's worth considering how to use this ability while casting double Steady Shots. To get the most out of this talent, we'll always want to cast our double Steady Shots immediately before casting Rapid Fire. We'll be wanting to pool focus for Rapid Fire anyway so we have plenty to cast Aimed Shots, so this shouldn't change what you're doing much, and will give you 10 seconds of increased focus regen without having to worry about the buff. If you had enough focus, you could simply let the buff fall off and finish the duration of Rapid Fire simply spamming Aimed Shots (and Chim Shots), however, that doesn't look very likely. With the high cost of Aimed Shots without TotH, you'll need to use Steady Shots during Rapid Fire. This will depend on what your haste level is, but in general it's going to be decision you make as you play. If there's any way to get away with only using one Steady Shot during Rapid Fire, then I prefer to do that, letting SF fall off. However, if there is any chance I'll have to use a second Steady Shot (which is pretty much always), then I'll do a double Steady Shot starting around the 6 or 7 seconds mark (from when I first hit rapid fire). Until we get the set bonuses, Chimeara Shot will not be benefiting at all from using it during Rapid Fire. However, the average damage of Chim Shot (even when compared to the =60% crit chance of an Aimed Shot during Rapid Fire) will be giving you more damage than Aimed Shots, so it will remain at the top of your shot priority. If we didn't have an on-use trinket to use with Rapid Fire, we would generally want to use Chim Shot immediately before Rapid Fire, so that we only have to use once during Rapid Fire without delaying it or reducing our total number of Chim Shots. With the trinket, however, we'll want to make sure we get as many Chim Shots as possible during the the trinket's buff. This method will allow you to get three Chim Shots during the duration of your on-use trinket, while only having one Chim Shot interrupting your Aimed Shot spam during Rapid Fire. It's worth noting again that once you do have your 4-piece set bonus (which should happen a good deal faster than normal, with normal and heroic having completely separate lock outs from each other, and from mythic) you'll want to make sure you cast at least 2 Chim Shots during Rapid Fire (to take advantage of the increased crit damage). Some top hunters have suggested that we should save Chim Shot for the very last GCD of Rapid Fire with the 4p, but I don't have enough data yet to say if that's actually ideal or not. I can say that from playing with it on the beta, you'll see some insane 120k+ chim shot crits if you use that method, which feels pretty damn good. One question I've had from a couple different people was regarding the use of Focusing Shot. The question goes something like this: "If we're taking Focusing Shot, if we're using FS right before Rapid Fire so that we have plenty of focus during RF, wouldn't it be better to use RF right before FS so that it has a shorter cast time?" I believe (though I haven't really checked) that if we still had MoP's Rapid Fire mechanics, that would be true. However, with the addition of Careful Aim, we're going to see more damage by waiting out the normal cast time of Focusing Shot, then after casting RF spamming Aimed Shots. To think about it, we can compare the amount of time we save by using FS during RF to the amount of damage an Aimed Shot would have done in the same amount of time. And we don't actually have to look at the real value of Aimed Shot to know which is going to be better, because the amount of time saved by using FS during RF will always be a fraction of the cast time of an Aimed Shot, and the amount of time we spent during RF casting FS will always be exactly equal to the cast time of one Aimed Shot. Since 1 will always be greater than a fraction of one, we know that it will always be better to cast Focusing Shot before, not after RF. We're starting to get some good guides and info on Warlords of Draenor level 100 PvP, so I thought I'd take a moment to highlight a couple. Above is Pypo going through some of his more successful set-ups he's found so far. Also, you may remember Dillypoo from the Hunting Party Podcast a few weeks ago, and he's put out a level 100 guide over on Arena Junkies, which can be found here. I haven't been enjoying PvP as much in Warlords as I had hoped. As I've already mentioned here, I was incredibly excited about Ashran in beta, it was just so much fun, but it is, unfortunately, a huge cesspool of terrible on live. I've tried on both horde and Alliance, and while it is a little bit more fun while playing horde, it's still pretty terrible. The thing is, it's not really fun to just slaughter people who don't know what they're doing. I mean, maybe every once in a while it's fun to feel OP, but it doesn't give me that adrenaline rush that I get from good PvP. So we've basically got the option of either playing with really terrible PvP'ers, or playing against really terrible PvP'ers. And really, I'm not that good at PvP, so when I'm complaining the quality in there, you can be assured there are significant problems. I've also been really disappointed with the CC changes, or at least, the CC changes for some classes. We'll continue to see a lot of people die during one CC effect. Warriors of course have the best of this, it seems. Again, I'm glad they cut down on the duration of fears, I'm glad they made traps DR with other CC: those were great changes, but they should have gone all the way, instead of leaving a few classes really OP. I don't have a much Arena experience in Warlords yet, as I'm still waiting for some friends to get geared and ready, but what I've done so far, it's looking a lot more balanced. There are still the few OP classes, but the Devs seem to be promising that once they get a significant amount of data, they'll hand out some nerfs. It's too bad we have to wait, but it's good to hear they're working on it. Anyhow, there's my PvP rant for the day. I've gotten some good MM questions recently, and I'm trying to get the math ready so I can put up a post outlining my answers here by the weekend. Not too long ago, Blizzard buffed Focusing Shot, giving it a 2.5 second cast time, instead of the previous 3 seconds. This pulled focusing shot slightly ahead of lone wolf in DPS, at least in patchwerk style simulations. There are still a lot of questions about when it will be viable due to the restrictions to movement, but in general, if you want to pump out the most dps, it's time to start learning how to use this talent to its fullest extent. One reason this is so impactful for MM, is that Focusing Shot now hast the same cast time as Aimed Shots, which means, for better or for worse, we've got to take another look at Haste plateaus or breakpoints. If you'll remember a couple weeks back, I did a little write up about the possibilities of Haste plateaus in the MM rotation, but came to the conclusion that with so many varying cast times and therefor so many varying shot combination times, there weren't any plateaus that were going to significantly change how we play. With Focusing Shot, however, at least half or the time, you'll have a more manageable rotational Haste breakpoint (for lack of a better term). Again, just so no one misunderstands or gets upset with me, when I'm talking about Haste plateaus and Haste breakpoints, I am not referring to the value of the stat; instead, I'm referring to how we change our rotation, based on the amount of haste we have. The primary variation will be where in the rotation the Focusing Shot comes; we won't, however, have to think too much about that, since it won't affect the number of shots between Chimaera Shots. There will also be times when we're casting either Glaive Toss or Barrage, and times when Ancient Hysteria or Rapid Fire are up, which will change our rotation; I'll cover those situations below. For now, we'll just look at this rotation, since it will be what we use most of the time. It's probably worth noting, that theoretically, at a low enough haste point (zero, for example), you may be better off only casting three abilities between chim shots, but since we'll always be raiding with a haste buff, at least, we can safely ignore that situation. With that said, the first thing you might notice, is that until we reach 25% haste (if you're not familiar with how haste works, or don't want to do the math in your head, at 25% haste a 2.5 second base cast time ability only takes 2 seconds), we're going to have to delay Chim Shot. While ideally we wouldn't want to delay our signature shot, right now other stats are so much more valuable than haste that it won't be worthwhile to try to hit this 25% haste mark, and instead we'll just deal with having Chim Shot delayed a bit (since the only alternative is to have a second or more where we're doing absolutely nothing). Even in mythic tier 17 gear, we're not going to be seeing very much haste. This is partially due to being the first tier of the expansion, but mostly because Blizzard has watered down the stats by adding two new, so we'll have roughly 60% as much of each stat, compared to MoP. Still, it's worth noting that at 34.2% haste (after raid buffs), it will be worthwhile to add in an extra Aimed Shot or Focusing Shot, giving you five total abilities between Chimaera Shots. If you're curious for the reason why, it's all spelled out in my previous post, here. With Rapid Fire as our primary CD, it seems looking at what the numbers will look like while it's up, even if it's just a small percentage of your total fight time. With Rapid Fire up, you're going to use four Aimed Shots and a Focusing Shot (or 5 Aimed Shots, if you have the Focus) up until 17.2% Haste. At 17.2% Haste or higher, you'll be DPS ahead to delay Chim Shot and squeeze in an extra Aimed Shot. Another issue that will affect your rotation about 50% of the time is Barrage or Glaive Toss. As they sit right now, neither creates any meaningful breakpoints, so when I need to get off one of these abilities, I'll be using .4 seconds as my guiding number. That is to say, if I have less than .4 seconds left before Chim Shot comes of CD, then it's not worth using another ability and I'll just wait for Chim Shot; if there's more than .4 seconds, then I'll go ahead a cast something else. As I mentioned when previously talking about this, these little decisions aren't going to have a terribly large impact on your DPS. But, if we're looking to really min-max, to squeeze every last damage out of our rotation, then these numbers will come into play. I dinged 100 on my first character around just a little over 48 hours into the Warlords, in the wee hours of saturday morning/friday night. I really enjoyed the leveling experience, working on my Garrison as I went; having the follower garrison quests made a nice break in leveling. There were good stories and I was able to complete the final four zone's loremaster achievement just in the process of leveling. I did go back and finish the first zone's quest lines, too, only to realize there isn't a loremaster achievement. But still, it's nice to start off with a good idea of what all the stories going on are. My only real issue with the leveling process, or more with the story, I suppose, is there were so many "bosses" (for lack of a better term) that I easily could have killed, but they added in a mechanic where at 10% or something they perma-stun me and they go into a cut scene, and the bad guy escapes. That's fine, I mean, they need that to progress the story; however, it shouldn't be so easy for me to kill them. Maybe I should be able to take them from 100-90% health, and that's when the cut scene happens, or maybe I should have to dodge zones that stun me, and they progressively get harder to dodge, until eventually I can't do it, and that would be when the cut scene would happen. As they are right now, it seems like Nerzhul, Guldan, Garrosh and the others are really week and kind of push-overs. It's hard to imagine them ever being meaningful raid or dungeon bosses if I can solo them while leveling. I did give Ashran a try a few times over the weekend. I was so incredibly excited about Ashran during the beta, and it was a huge let down on live. On beta, on the max level PvP realm, you had mostly all people who had decent skill with PvP, and everyone was in the exact same gear. On live you have a terrible mix of really skilled and really unskilled players, and a huge range of gear levels. I'm still hoping that the zone will be worthwhile in a couple months, once everyone is geared, and some of the newer players have been scared off, but as it is right now, it's a worthless way to spend your time. I'd maybe go back in with my RBG team, but other than that, I'm done with it for a while. I must admit that it's really nice to have all the gathering professions at your fingertips. The garden has kept me in enough Gorgrond Flytraps to do my LW daily, and it's nice to be able to d'ench and enchant your own gear. I would like to see more breadcrumb type quests for the garrison. As it is, it works out fine for people like me who spend way to much time looking at guides, and just in general exploring, but for the average player, they should be able to spend their in game time doing things, instead of looking for things to do. The same goes for Outposts. I'd like to see a better description of what you're getting, and what you're giving up by choosing one or the other option. Again, for someone like me who's going to tab out and look up guides to optimize every little bit of the game, it's fine as is (I really just needed the names of each so I could figure it out), but for other players, accidentally choosing the wrong one (for them) is really frustrating. I had a friend online who just randomly picked buildings in his garrison that seemed cool, and when he got the outpost blueprint currency, she spent them on whatever she had built at the time. So now at max level she's being punished (at 750-1000 gold per building) for not going out of game to look up guides. That seems like fairly poor design, that really punishes more casual players, who I would think are the target audience of garrisons. I was disappointed on the beta that Rares were only killable/lootable once, and that they weren't actually rare anymore, with nearly instant respawns. However, now that I've played around in the Nagrand 100 area, I'm fine with it. There's no challenge in killing a level 90-99 rare at level 100. Having repeatable level 100-102 rares available at least allows for some more fun. I've been doing a circle through Nagrand every day since hitting 100 to get most of them, and while they aren't exactly challenging for a hunter, I think they will be for some classes (all you need to do as a hunter is keep up mend pet). Hopefully as the xpac progresses, we'll see more with abilities that actually require thought, like the Archiereus of Flame on the Timeless Isle, or the War-god on the Isle of Giants. Perhaps there already are some like that and I just haven't run into them yet. There was one rare elite in northern Gorgrond, I forget it's name, but it was level 101 I believe, and it tore right through me and my pet, very quickly. I was on my way to something else, so I didn't give it any more tries, but I look forward to battling him solo. I'm hoping there will be a way to mix pet tanking and kiting to get him down. One very pleasant thing I've seen, is some classes which couldn't normally kill a rare elite, will come across me killing them, and will pitch in by healing my pet. It's kind of nice that I can focus on damage dealing and they can have a way to participate and help with the kill, even if their damage is fairly insignificant. When I first hit 100, I was siting around 600 ilvl, and went into the proving grounds, and they were crazy easy. I don't remember them being that easy in MoP, so perhaps they've changed some of the mechanics, or the relative health pools. Especially given that I wasn't in max ilvl gear for them, I was surprised at how it went. I've only gotten through a few heroic dungeons (as most of the folks I'd normally go with took there time leveling), and haven't done any CModes yet, but I'm definitely looking forward to that in the next few weeks. Aldarana is working on the hunter challenge mode guides for the Warcraft Hunters Union said she'd have some up soon (maybe a couple are up already). I'm looking forward to getting into challenge modes, as I really feel like their one of the best opportunities to really shine as a hunter. Everyone should check out her guides, though. I'll be sure to link them here as soon as they're posted. I have had a good time in Warlords of Draenor so far, though. I only leveled all the way to 100 once in the beta, so most of this is still relatively new to me, and there have been a lot of changes since I leveled in beta. For one, it's taking a lot longer. Some of that is due to server issues, and the crazy number of people trying for the same resources, but as I moved into the level 95+ zones, I really haven't seen many people, so I'm assuming they either reduced the XP rewards, or increased the XP needed to level. Another loss of XP, is they removed Dungeon Quests. In past expansions, those have been used for huge chunks of experience. So there's not really much point of doing the dungeons, other than the stories. So far, it seems the normal dungeons, at least, are no more difficult than the dungeons in MoP were, which I had thought was a goal of WoD. They're basically just pull-everything-in-sight-and-AoE-it-down sorts of dungeons. I went into the first available dungeon with a healer friend who was still 91, and we got a tank who was having connection issues. Just two levels above the dungeon's recommended level (I was 93), and I was easily able to pet tank all the trash, and I'm pretty sure I could have handled most of the bosses. When I level my next hunter, I'm going to take some time to see how low of a level I can solo each of the dungeons. With all mythic gear, I'm certain I could have handled Slagmines at 94 pretty easily, and probably at 93. With some work, I'd bet someone could figure it out at 90, even. As the main feature of this expansion, I have been working on my Garrison as I level. I've had decent luck with followers, so I think I've got 2 epic, 4 rares and 3 regular green followers, so far. Though I haven't gotten the most diverse followers (lots of rogues for some reason), I have been able to complete successfully every quest so far, and I've got one follower up to 96, and two followers up to 95. As for the rest of my garrison, I'm still sitting at level 2 over all (out of 3). In the beta, garrison resources were readily available, and I remember having to spend some because I was capped so much. But here they've been a bit more valuable. I, so far, have a level 2 tannery, along with a level 1 barn. Looks like the barn is a terrible way to get leather, but it has several other percs. The Tannery is nice, and I've been able to keep running at fairly full capacity up until the servers shut down for maintenance this morning. Anyhow, I'm having a great time. There are a lot of cool stories going on, even if I'm way OP and can just burn through anything without thinking. Hopefully the maintenance time this morning gave Blizzard a chance to fix a lot of issues everyone's been having. I know other's have had even worse luck than I, but for me, the technical issues haven't at all outweighed the fun of the new xpac. I'm excited to get into some heroic dungeons and hopefully some challenge mode dungeons this weekend. Should be lots of great gameplay ahead. I've finally returned from Blizzcon. Just in the nick of time, too, since Warlords comes out today. I had a lot more I was hoping to have time to write before WoD came out, so I guess I'll just try and see how much I can get done. I suppose we do have a few weeks before raiding begins, anyhow. The con was a pretty good time. There wasn't really much of any WoW news, and the WoW panels they did have were fairly lackluster. But, the Hunter Meet-up was a lot of fun, and we had a lot of great people representing the hunter class, including Michelle Morrow as the main host of the whole event, and a ton of really amazing hunters on both sides in the live raid. If you weren't familiar with Michelle Morrow already, she's a long time WoW Hunter, and has been a guest back in the good ol' days of the Hunting Party Podcast (and hopefully will be showing up on the show very soon!). She's also been very responsive on twitter, so everyone should head over there and thank her for representing hunters so well: @MicheleMorrow. Anyhow, I've got much work to get done so I can spend a good portion of the night leveling tonight. And I'm still trying to put together some haste breakdowns for BM, SV, and MM w/ FS. Should make for a fun, WoW filled week.